Well, for most kids and parents it is summer time and that means A LOT of free time to sit around and annoy your parents! If you are a parent and looking to entertain your children this summer, check out this super fun Bop It! Smash that will keep the kids entertained for hours and will also provide hours of fun for the whole family on Family Game Night! Can you move faster than the speed of light? You’ll have to put your reflexes to the test as you attempt to control, trap and play with light in the all-new Bop It! Smash. Similar to other Bop It! favorites, Bop It! Smash is a fast action, reaction skill game, but with a new challenge. Players must move fast to be able to trap a rapidly-moving light in the center of the game unit by quickly smashing the ends of the game together. The closer the light is to the center, the more points you score! Bop It! is a brand that has built success on a simple concept: challenging your reaction time. Using a handheld game unit, players follow easy voice commands quickly and precisely, or they lose. It is straightforward and positively addictive! 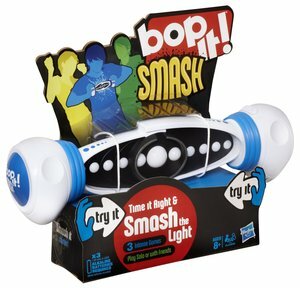 Bop It Smash takes the action one step further with moving lights, playing on an arcade theme that’s impossible to resist. I am a big fan of reflex games and I have always gotten easily addicted to them! I like a challenge and Bop-It Smash is definitely addictive for all ages! I love that you can choose form three modes of play depending on how many players are playing! You can play alone in the Play Solo mode and smash the light in the Zone or you can Pass It to get your friends in the game. The Multiplayer mode challenges up to six players to see who's the fastest smasher. This game will be perfect for your children (or You!) to play this summer when they are bored! 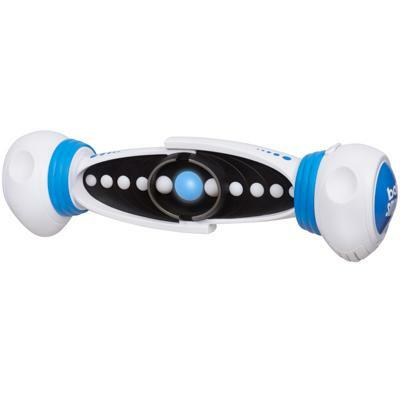 It is fun and keeps their reflexes in shape! 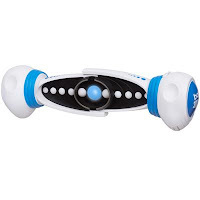 Buy It: You can purchase the Bop-It Smash for $19.99 from the Hasbro Toy Shop. Win It: Hasbro is generously offering (1) Bop It! Smash to a lucky winner!